This is the next installment of a multi-part posting discussing the considerations and use of an infographic resume as a tool in your job search. The previous post discussed the advantages of an infographic resume. Let’s continue by discussing some disadvantages of using an infographic resume in your job search. How will it be Received by Hiring Executives for Positions You are Pursuing? This is a serious consideration. An infographic resume is a neat idea and can be very intriguing. It can open your mind to all sorts of creative thoughts on how to present your information. This is especially true once you start viewing examples. However, it is not the right or most impactful strategy for every industry or position. Only you can gauge the receptiveness and persuasive influence an infographic resume would have on hiring executives in your job search. It must Contain Impactful Information. If an infographic resume does not have impactful or persuasive information or is poorly constructed, it will hurt your job search. It can be a distraction, reflect poorly on your candidacy for the job, or eliminate you from contention for the position. This is where it is highly recommended that you speak to professionals that create these documents. Seek their opinion as to whether you have the caliber of career information and accomplishments to have an impactful infographic resume (with the understanding that they will have the incentive for you to buy their services). Seek out examples of others like you with similar backgrounds (if possible). 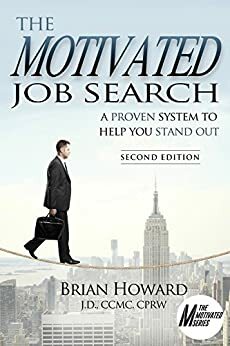 Set aside any thoughts you have about the uniqueness of the approach and objectively evaluate whether you have the kind of career information that would make for a compelling infographic resume.